Just a few designs to give you an idea of the style of place cards and day stationery I make. 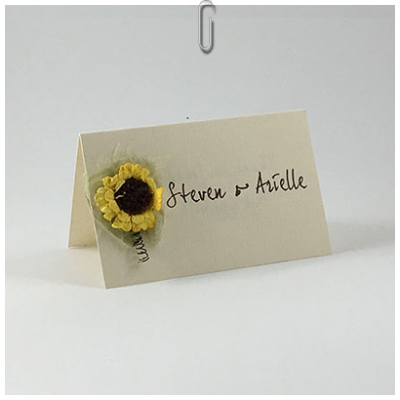 Your theme will be incorporated onto the place card, whether a rose, a thistle, a feather or a swirl. The invitation wording is either printed on a folded paper insert, inside the card or directly onto the card. Colour, font and card can be changed to suit your theme, and the wording on the front and inside can be completely personalised.